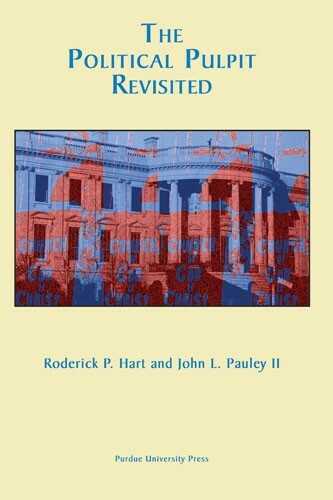 The Political Pulpit Revisited examines a set of arguments originally made in 1975 about church-state relations in the U.S. Scholars have long wondered how a nation of some two thousand different religious denominations has been able to remain relatively calm about such matters. Controversial issues like abortion rights, war-time pacifism, sanctuary for illegal aliens, clerical abuse of children, non-taxation of church property, and other matters con­tinually roil the political waters. 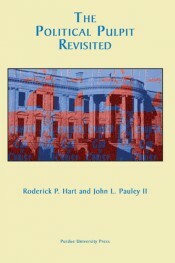 The first edition describes how church and state tensions are worked out symbolically rather than coercively, legally, or economically. The Political Pulpit Revisited updates church/state arguments and then offers reflections by eight distinguished scholars who re-examine the relationship in light of recent events. The result is a fresh look at the American experiment in those relations and what it portends for the U.S. in the years ahead. John L. Pauley II received a Master of Divinity degree from Denver Conservative Baptist Seminary and is an ordained minister. Pauley holds an M.A. and a Ph.D. in Speech Commu-nication from the University of Texas at Austin . Currently Dr. Pauley is an Associate Professor of communication studies at Saint Mary's College in Notre Dame, Indiana.